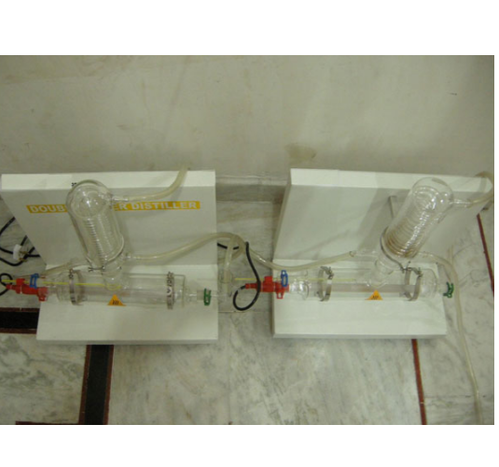 The Double Water Distiller manufactured by us is highly acclaimed for being sturdy and durable. These equipments are also known for their efficient service life. Manufactured using quality approved components, these are used for water distillation purposes in chemical engineering laboratories. These are made available to clients within the specified time period at affordable costs. These are easy to install. Being robustly designed, these do not require much maintenance too. We are also involved in the export of these distillers.